Suitable for Hardening with oil ( hot & cold), polymer and water / salt. Available in gas fired and electrically heated versions for Hot oil operation / salt quenching . For Martempering / Austempering applications both open quench and with atmosphere (vestibule construction). 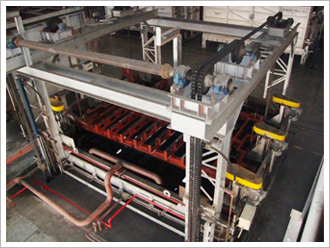 For solution treatment – water quench for SS and Aluminium parts. Fully Automatic with PLC logic, fluid agitation, heat exchanger and pump. Integral with BIQ furnace or separate for other applications. Available in capacities 1000 lts to 20,000 lts. Epoxy coated tank with heat insulation.